Tonight I ate at a Chinese restaurant somewhere in small town Pennsylvania. At the entrance I was greeted by a note with an arrow and the words “use other door” hand written on it. The arrow pointed towards a door hidden in the shadows on the side of the building. I long narrow hallway void of any lights lead me to a large cloudy fish tank next a set of double doors. Unfamiliar smells and curious music teased and tempted my senses. I was captivated, I had no choice but continue. As I sat alone at my plexiglass covered table admiring the fascinating decor, it occurred to me that the only reason I was here was because I was alone. I would have been to apprehensive to suggest the possibility of eating here with anyone else. The food was great, the waitress was coarse, and the floors were dirty. Why am I concerned about the comfort level of others more than my own? How could a place that feels so comfortable alone feel so uncomfortable with others? My running takes on many of the same characteristics. I run differently when I’m alone, compared to when I around other people or I think other people are watching me. I’m concerned about other peoples perception of me, and I’m concerned about disappointing people. When I’m alone running on the trails very rarely do I ever think about my foot placement or my stride, I just run. I get lost in the moment and time ceases to exist. The sights and sounds and smells of the mountains surround me and create a feeling that words are unable to describe. I and happy, I am content, my mind is quiet, and I only exist for that moment. When I’m running around or with other people I am always looking towards my next step. My mind is is constantly searching. I hear myself breathing and wonder if it is noticeable by those around me. Is my stride smooth and even, am I picking my feet up, are my shoulders relaxed. I wonder if I am running to fast or too slow, should I slow down or walk the climbs, should I be talking more. I am every where except the present. I am uncomfortable and anxious. I enjoy running with people, but I don’t enjoy being noticed by people. I don’t look at this as being a negative or bad characteristic, just part of who I am. 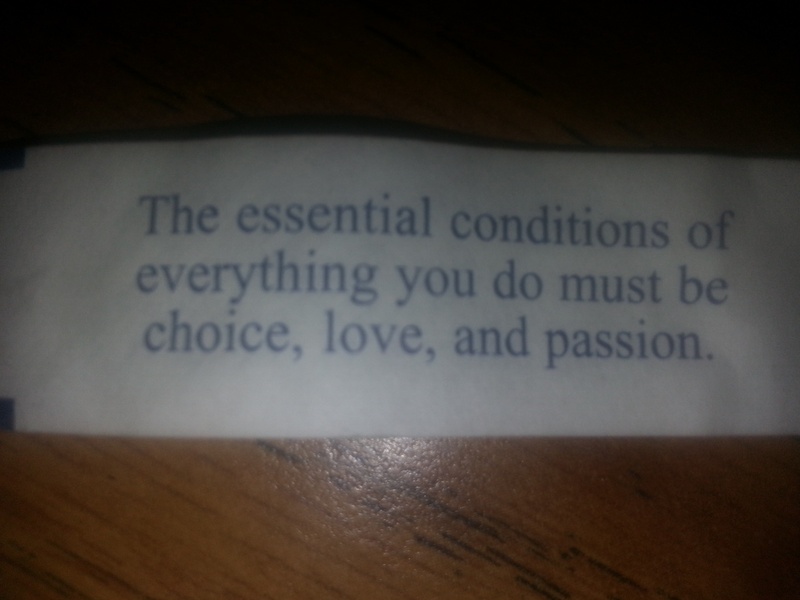 The essential conditions of everything you do must be choice, love, and passion.